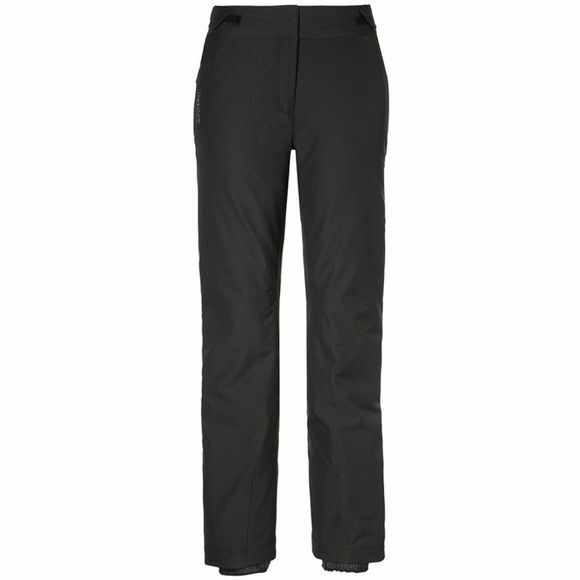 The Womans Schoffel Pinzgau Ski Pant are the perfect padded stretch salopettes for ladies, made of double-ply Venturi laminate. Venturi Stretch combines the breathability, windproof and waterproof qualities of the Venturi laminate with maximum freedom of movement. With a raised waistband prevents any chilly snow from touching your inner thermal layers. Cordura edge protection ensures that the cuffs stay as in tact and as strong as they were originally built, making Schoffel's Women's Pinzgau Pant long lasting and durable. Please note: Schoffel Ski Legwear items tend to be small sizing - Please size up at least one size compared to your normal lifestyle trouser style. Venturi stretch: Venturi stretch is an exclusive laminate from Schöffel. Venturi Stretch combines the breathability, windproof and waterproof qualities of the Venturi laminate with maximum elasticity. The material provides for an even better fit, even greater freedom of movement and close-fitting designs with maximum performance. Cordura®: Constructed using high tenacity fiber technologies, weight for weight, CORDURA® fabrics are exceptionally durable.